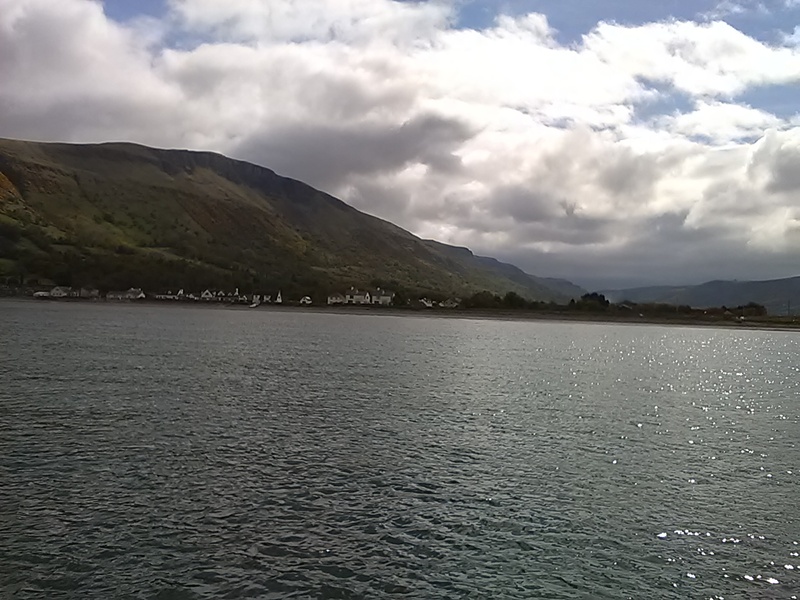 The coast of Antrim was a spectacular delight, better than the Lake District, according to Andy. North from Belfast Lough the cliffs and mountains are craggy, rounded giants. We chose to ride out a tide in Red Bay, waiting until after 10pm before setting out into the strong north-going tide. Wind was too light to fill any sails, but with the engines at mid-revs we were slowly increasing speed. After dark the lighthouse on the Mull of Kintyre beckoned us across to Scotland, answered by the Irish one on Rathlin Island, right at the corner of the North Channel. There is a Traffic Separation Scheme here (a motorway for big ships) so we aimed towards the north-going lane. Not much traffic, just a couple of ships heading North, easily picked up on the AIS. 5 knots through the water, we were covering 8.5 as the spring tide shoved us North. But still the sea was smooth, windless. Eventually we could make out the flashing lights off Port Ellen on Islay. By 0230 we were near the Otter Rock, but as we wanted to get into harbour at first light, we slowed to a crawl to while away a couple of hours in safe deep water. At last the dawn revealed the land and we slipped past the buoys into Kilnaughton Bay to drop anchor at 0500 and crash into our bunks. It has been quite an emotional trip up the E coast of Ireland and over to Islay. 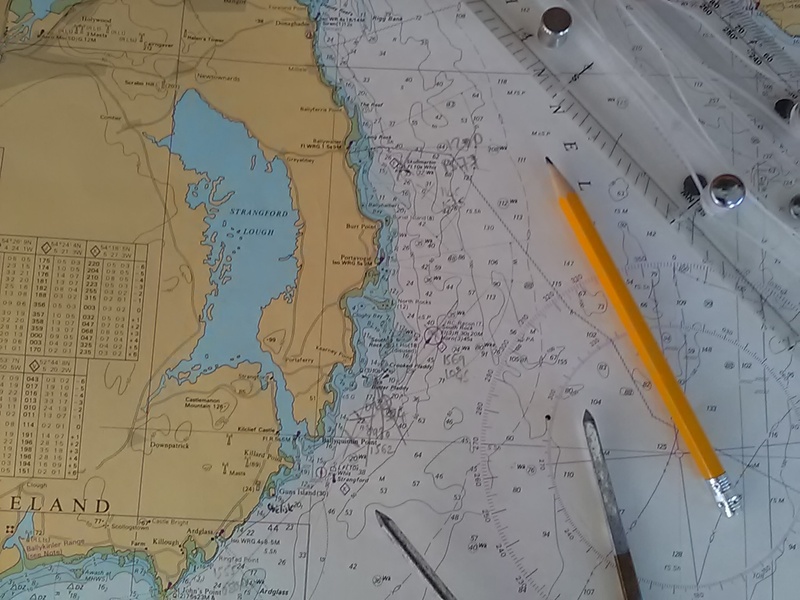 On my charts the marks I made 25 years ago are still there, revealing that I was doing traditional navigation with pencil and paper, sometimes plotting position every 15 minutes. Of course now it is dead easy, just a matter of checking the GPS chartplotter. Still, I like to put a mark on the chart every so often, although I doubt I will be looking back at it in another 25 years. What a change has come over Islay! 20 years back things were looking bleak, hotels were being boarded up and life was a struggle. 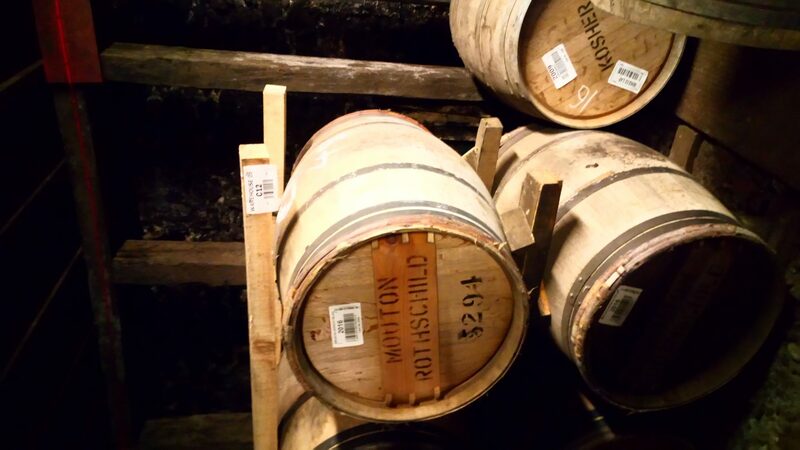 Now whisky tourism has taken off in a big way, and the place is booming. Apparently three more distilleries are opening on the island, to attract ever-increasing numbers of squiffy foreigners to sample the unquestionably wonderful peaty whiskies. I spotted bottles of 23 year old Ardbeg on sale for 430 GBP, and they were clearly selling! 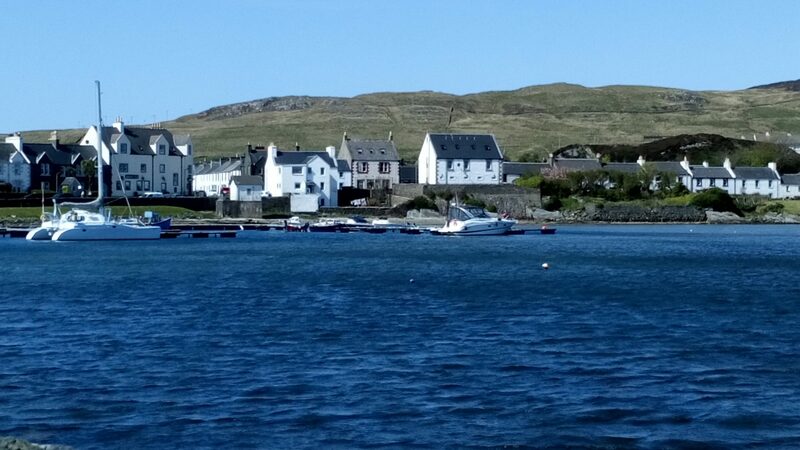 The whisky trade is huge: large barley boats from Ireland offload at Port Ellen to keep the maltings going day and night. Distilleries are in the process of doubling production. It really is whisky galore! Prosperity has spread with the growth of tourism. Unemployment is 0.6% – there’s always one idle sod! And food that would have been unobtainable 20 years ago is now plentiful. Islay (pronounced ‘Isle-a’) is a very beautiful island, more rounded than many of the other Hebridean islands, with gorgeous beaches and views, and it is a joy to see it thriving. I wonder if islands not so blessed with whisky will be faring as well. Gill and Rob Johnstone, whom Alison has known for 30 years, kindly put us up for a night and did essential stuff like clothes washing. They also lent us a car to tour around, which was great. 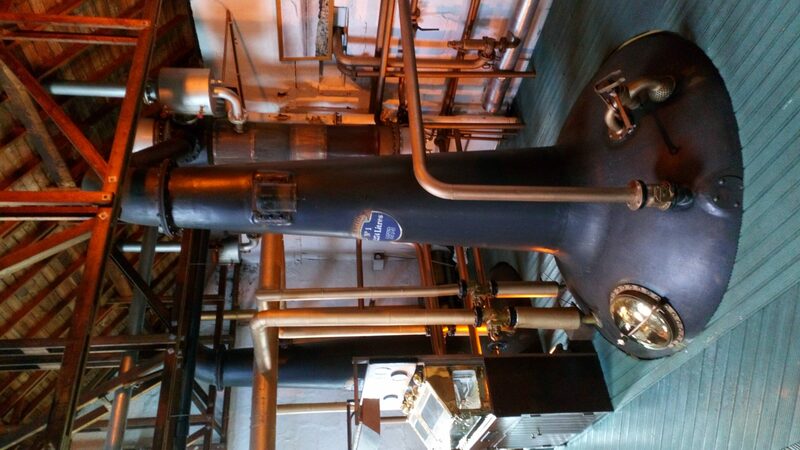 Katie Sellek arrived to join us for a week, and we did a tour of Bruichladdich distillery, which has some splendid old stills, all a bit Wallace and Gromit! 25 years ago my boat was one of the only craft at anchor in the harbour. Now there are 3 pontoons and a dozen visiting yachts. A spanking new harbour office and facilities are all owned and run by the community. While community initiatives like this are great ways to ensure the islanders get the benefit of the income, the revenue from the whisky duty goes to the central coffers, and everyone on the island complains about the state of the roads.